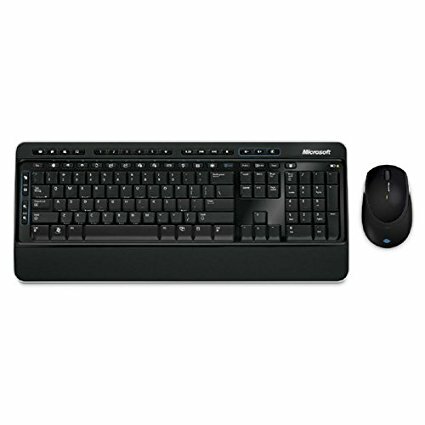 The Microsoft Wireless Keyboard 2000 and the Microsoft Wireless Keyboard 3000 are both wireless computer keyboards that are similar in style. 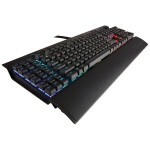 Both models have similar features but the 3000 costs around $20 more, so what’s the difference and which one is better? 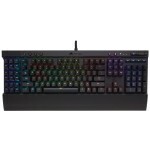 We have made a list of the main features of both the Microsoft Wireless Keyboard 2000 and the Microsoft Wireless Keyboard 3000 to see which one we think is the better model. 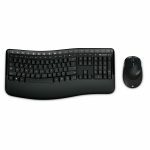 The Microsoft Wireless Keyboard 2000 features a pillow textured palm rest to give you added comfort for your hands during long periods of typing. 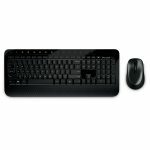 The Microsoft Wireless 2000 also features a comfortable mouse that can be used with either hand. 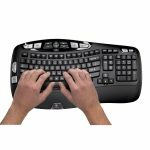 The Microsoft Wireless Keyboard 3000 has a sloped palm rest to provide you with a more comfortable typing position. 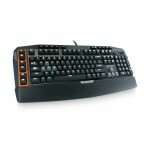 Both models can be tilted to allow for a more ergonomic and personalized position. 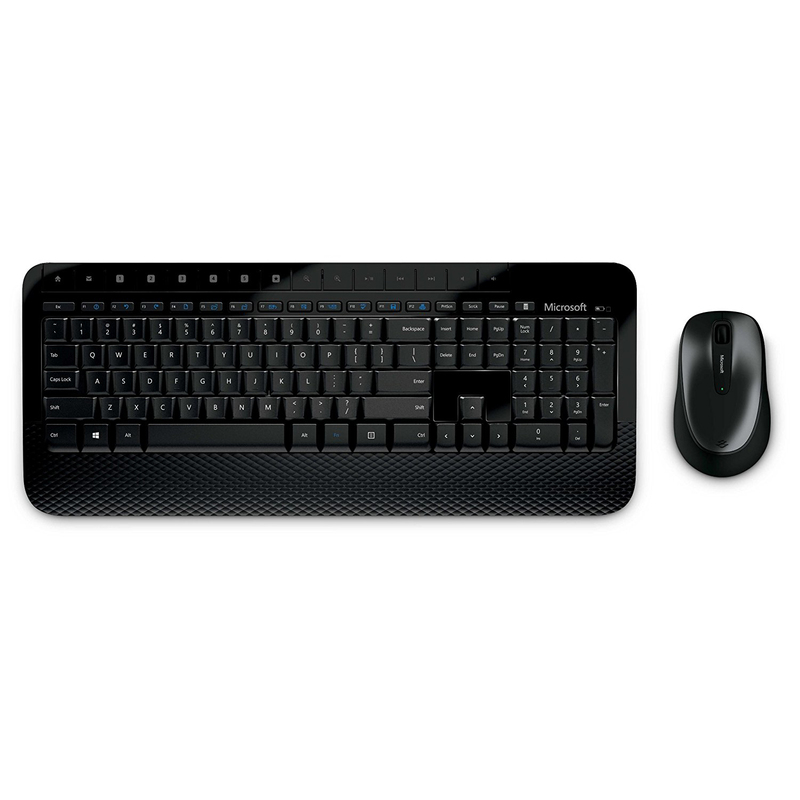 Both models come with a corresponding mouse that features BlueTrack technology, meaning you can use the mouse conveniently on any surface in your home or office, including granite and carpet. 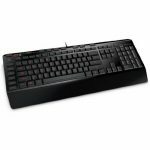 The Microsoft Wireless Keyboard 3000 is spill resistant and features water channels built into its structure to allow for any spills to be quickly drained away. The Microsoft Wireless 3000 has easy to find Media Center controls and quick access zoom buttons. 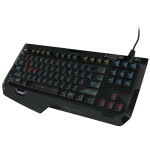 Both models have customizable hot keys so you can easily program them to link to files or webpages. 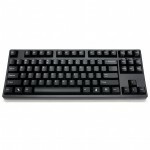 The Microsoft Wireless Keyboard 2000 has straight keys that are full size and in a stylish black design. 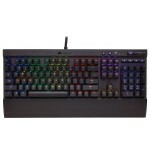 The Microsoft Wireless 3000 is a full size keyboard with low profile keys and a sturdy build. 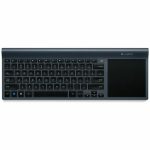 Both models are average sized keyboards with the sloped design of the Microsoft Wireless 3000 making it slightly wider. The Microsoft Wireless 2000 measures 7.87 by 21.26 by 0.91 inches compared to the Microsoft Wireless 3000 which measures 8.2 by 21.8 by 2 inches. 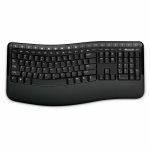 Both of the Microsoft Wireless Keyboards will work well with Windows software and are intended to be used with desktop computers. 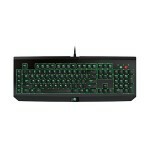 Both keyboards are wireless and don’t require any additional software, just the included USB receiver that comes with each of the keyboards. 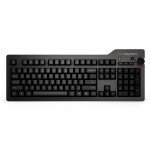 The Microsoft Wireless Keyboard 3000 is compatible with Windows and Mac OS software but some of the Windows specific keys will only work in conjunction with Windows software. 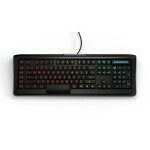 Both models have a wireless range of up to 30 feet, giving you more freedom when you’re working. 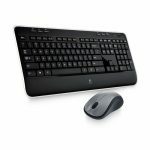 After looking at the main features of both the Microsoft Wireless Keyboard 2000 and the Microsoft Wireless Keyboard 3000 we think the better model is the Microsoft Wireless 3000. It benefits from being more durable, which is ideal in a modern work or home environment. 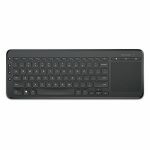 The Microsoft Wireless Keyboard 3000 also is more versatile, meaning you can use it with more of your computers. The 3000 is equipped with more modern technology and has a comfortable sloped design, making it worth the extra $20.